The call has come from Unite which represents the psychotherapists at the psychodynamic psychotherapy service that has benefited an estimated 10,000 Derbyshire residents over the years. The governing body of the CCGs is expected to approve the pause at its meeting on Thursday December 13. Unite has been calling for a long-overdue review of all psychological therapies in Derbyshire for the last year, which the CCGs have now eventually agreed to, following public pressure. Unite national officer for health Jackie Williams said, “We are delighted that the clinical commissioning groups have decided to pause the consultation process, following the strong campaign that SOS NHS Derbyshire has run with the full support of Unite. “It is clear that the people of Derbyshire really value the psychotherapy service which is estimated to have helped up to 10,000 clients in recent years. 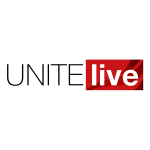 Unite will be pressing in the coming days that there are iron-clad guarantees from the commissioners that the threat to the service has been lifted once and for all – and not postponed. “The demand for this service is irrefutable and it has to turn away two out of every three people referred to it. The service should be expanded and not be under threat. “It has an excellent record of helping adults deeply traumatised by severe abuse as children, such as neglect, as well as sexual and physical abuse.